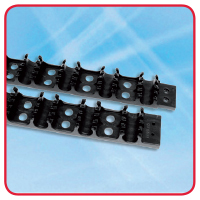 Maincor Clamp Track is designed to secure 16mm pipe. It has a self adhesive backing for ease of installation. Allow 1m for every m² of floor area.